Originally from outside Jacksonville Florida, Ryan (he / they) is a queer and trans feminist, educator, and activist. 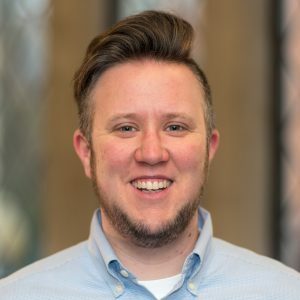 By day he works as an academic technologist at the University of Richmond; by night he studies in the Digital Sociology Master of Science program at Virginia Commonwealth University. Ryan’s work focuses on a critical, cross-disciplinary approach to technology. The first question is never which technology to use, but whether technology is necessary at all. Having supported almost every discipline, he wishes scientists would recognize language teachers have been “flipping” their classrooms since the dawn of time and digital humanists would see their “new” approaches to analysis and public research are not very different from the longstanding daily practices of (especially social) scientists. Also, everyone should take a moment to reward librarians, the real heroes.